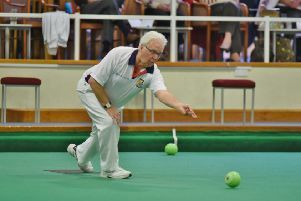 Nicky Brett’s hopes of winning a second world indoor singles title were ended today (January 24) when he was beaten 2-8, 6-6 in the second round by England colleague Mervyn King. King was in superb drawing form as he took the opening set 8-2, but Brett appeared to be heading for a tie-break when he led 6-2 in the second. But the Yaxley man couldn’t put the set to bed and King took advantage to claim a single on the last end to force a 6-6 draw and earn a place in the quarter-finals.